Rich, salty, luscious salmon. In all its forms, it is one of my favorite fish to cook or, in this case, not cook. I love cured salmon but rarely can I bring myself to spend the incredibly high price to buy it in Hawaii. 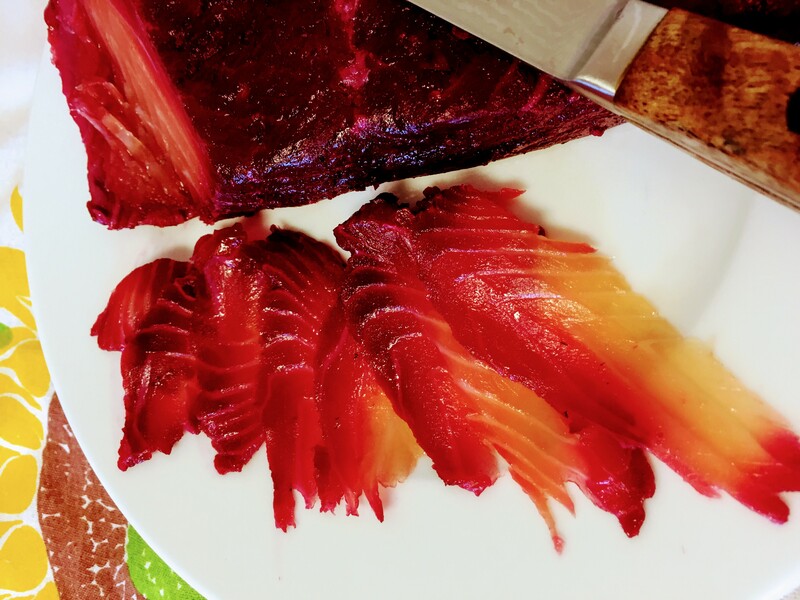 During a recent ravioli making night with my Swedish friend Nina, we got to talking about how we should make our own gravlax. This peaked my interest and I got to digging for the perfect recipe. After many recipes that all looked like they would just end up tasting of salty fish and not much else, I decided to add a few ingredients of my own. In addition to the traditional salt, sugar, and dill, I added caraway seeds, horseradish, and black peppercorns. Then I wanted to make it a bit of a statement so I decided to add some beets to change up the look a bit. In the end, this recipe produces salmon that has the same texture and basic flavor of the original with a slight bite from the pepper and horseradish. The caraway and beets add an earthy layer that balances the fatty richness of the fish. 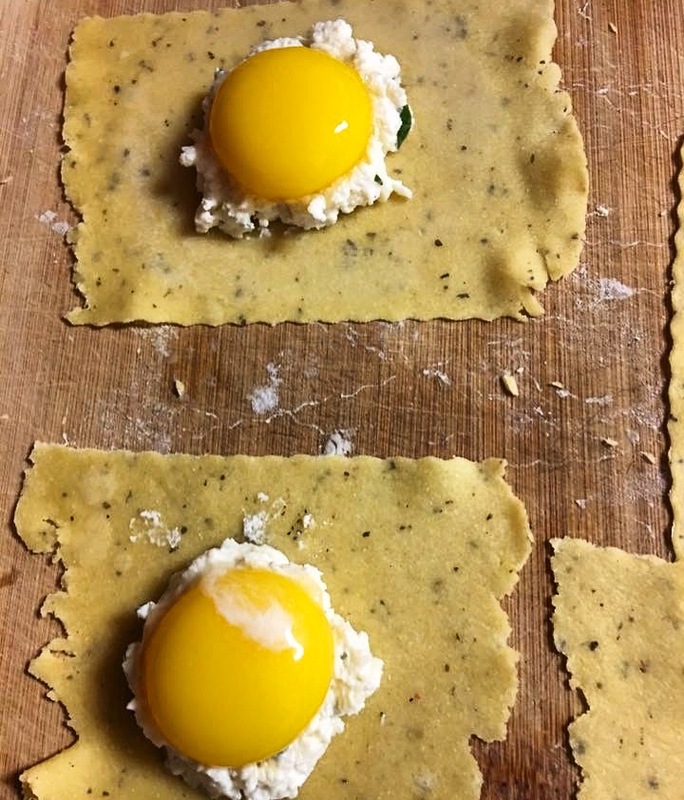 Egg yolk ravioli. To make these beauties, make a well in the ravioli filling and carefully place an egg yolk into the space. Cook for 90 seconds. Make sure to wash your hands and tool frequently when working with the beets to avoid staining everything a rather lovely shade of pink. Don’t bother peeling the beet. You don’t end up eating the curing mixture so the skins aren’t going to bother you. When removing the pin bones from the salmon, pull in the direction they grow in to avoid tearing the fish. Most recipes use a bed of fresh dill in place of the dried that I used. You can do the same but I think the flavor is much more concentrated when you use dried directly in the curing mixture.